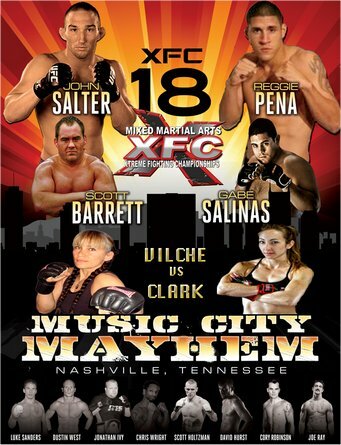 NASHVILLE, Tenn. – ProMMAnow.com is live and on the scene for tonight’s “XFC 18: Music City Mayhem” event which takes place at the Nashville Municipal auditorium. The main event features a match-up between UFC veteran John Salter and the resilient Reggie Pena. In the co-main event, Gabriel Salinas-Jones will look to back up his pre-fight trash talk against Scott Barrett. As usual, the XFC is featuring another highly anticipated women’s MMA bout as Heather Jo Clark looks to rebound against the gritty veteran Avery Vilche. The main card action will start at 9 p.m. ET (6 p.m. PT) LIVE on Hdnet with the hard-hitting Dustin West as he faces the technical striking prowess of Joe Ray. 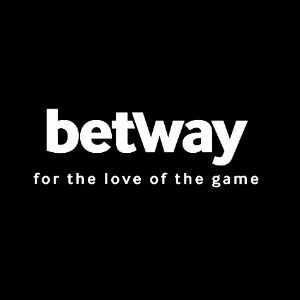 ProMMAnow.com will provide live results and play-by-play commentary throughout the evening. Round 1 – Touch of gloves. Pennington comes forward. Hurst shoots. They clinch and Hurst delivers a flurry of big knees backing Pennington up. They hit the cage. Pennington with some knees. To the center of the cage. Pennington changes level, secures a leg and gets the takedown. Hurst goes for the guillotine but Pennington works free and puts Hurst on the cage. Hurst swings his hips and looks for the armbar. Pennington pulls free and Hurst uses the space to get back to his feet. Hurst puts Pennington on the cage now. Nice exchange. Hurst rushes forward with a right hand. Pennington steps back, then gives up a takedown. He’s turtled up with Hurst on his back. He has one hook in looking for two. He’s going for the rear naked choke and it looks like he may have it locked up. The second hook is in as he adjusts his grip. Pennington is fighting off the choke with some two-on-one but he’s still in danger. Hurst fires off a couple of lefts then re-applies the choke. Right hands now from the top. Pennington looking to shake him off the top. He does and now he’s on top. Big left hands from Pennington. Hurst scrambles out and tries to get a leg. Nice action so far in this one. They clinch up and it’s Pennington that gets the big slam. He’s delivering right hands now that are landing. Hurst turtles up but is eating big shots. Pennington fires off a flurry of right hands and the ref steps in and stops it. Round 1 – Ivey has over 70 fights and has been around for what seems like forever. Plaisance comes forward and drops Ivey with a right hand. Ivey survives and works to the top. Plaisance going for an arm but Ivey powers through it. Looks like he’s recovered. Ivey with short left hands from the top. Plaisance staying busy off his back looking to set up sub attempts. He scrambles and ends up n top. North-south position. Plaisance drops some big elbows. Knees to the shoulder now. Plaisance moves to side control, then back. More knees to the shoulder. Plaisance blasts the body of Ivey. The referee tells them to stay busy. Plaisance moves back to side control and looks to isolate an arm. Short right hands form the top. Plaisance scores with a grinding elbow. He’s still looking at that arm. Huge elbow from the top draws blood. Ivey is bleeding badly above his right eye now as Plaisance continues to score from the top. So far Ivey has been unable to get off his back at all. The crowd is yelling for a stand up. Plaisance instead transitions to full mount and starts dropping bombs. Ivey bucks and manages to get enough space to get off his back. Plaisance instantly closes the distance and maintains top control. Back to full mount again. Dominating round for Plaisance. PMN scores the first for Plaisance 10-9. Round 2 – Ivey’s corner did a good job on the eye, the bleeding has stopped for now. Plaisance comes forward right out the gate. They exchange. Big leg kick by Plaisance. Ivey stays in the pocket and lands with a left hook. Another kick from Plaisance. Lead left hook from Ivey. Kick Plaisance. He follows up with two right hands that land. Ivey again finds his range with a lead left hook. Again. Plaisance eats the shot then lands three of his own. Plaisance switching stances frequently. He fakes the leg kick and goes upstairs. Ivey absorbs the shot, then fakes like he’s going to drop. He’s always entertaining in the cage for sure. They go to the clinch. Plaisance works his left hands. Ivey comes back up the middle with a big uppercut. Ivey seems content to lean on the cage for now. Plaisance uncorks a three-punch combo. Ivey again up the middle. Ivey gets in another uppercut, then a right hook. He’s firing for the fences. Plaisance staying busy as well. Knee Plaisance. Ivey goes right back to the one-off uppercut. He’s pretty much one-and-done though, not really stringing together combos. Just as I say that he lands and drops Plaisance. Ivey swarms with Plaisance on the cage. To the body now with less than 1 seconds to go. He goes for the leglock at the bell. PMN scores Round 2 for Plaisance. Round 3 – Touch of gloves to start the final round. Jab from Plaisance. Ivey needs to get to work. Leaping left hook from Ivey. He comes back with a cracking right hand. Plaisance lands and Ivey shakes it off and tells Plaisance he’s not hurt. Ivey stalking now with his hands down. Big combo from Ivey. One-two again rocks Plaisance. Plaisance comes back with a leg kick, but it’s all Ivey so far. Plaisance looks like he’s starting to gas. Ivey still coming forward. Jab Plaisance, but there’s not much on them. Ivey puts him on the cage and drops for a takedown. He elevates Plaisance and slams him to the canvas. Ivey to the body. His corner is telling him he needs to finish the fight to win. Body-head by Ivey. Plaisance seems content to rest on his back. The referee restarts them after a lull in the action. Plaisance goes right back to his jab. One-two from Plaisance. Both guys look exhausted. Leaping left hook from Ivey. He’s winning the round but it likely won’t be enough. He shoots for another takedown. Plaisance fights it off against the cage. Ivey snatches his hips out and puts him on his back. 10 seconds to go. Ivey stands and kicks the legs. Plaisance fires off a head kick from the mat. Looked like a breakdance move out there. End of bout. PMN scores the final round for Ivey, but the bout overall to Plaisance 29-28. Round 1 – Graham feinting to start. Robison comes forward with a right hand then changes level looking for a single. Graham fights it off against the cage. Robison keeps working for the takedown. Graham gets his hips out and then puts Robison on the cage. Robison circles off the cage and shoots again. Graham locks up the neck of Robison and elevates Robison before dumping him on the mat. Back to the feet. Graham puts together a nice combo that lands. Robison with a lead left. Graham clinches and puts Robison on the cage. Graham makes space and blisters Robison with a right hand. The take the center of the cage and it’s Robison that lands a nice left hand to set up his takedown. He drives Graham into the cage but can’t secure the takedown that he’s been looking for to get his jiu jitsu on track. Graham stays on his feet but is still defending against the cage. Robison dips and gets caught in a nasty head crank. Robison fight it off but not before he eats a couple of huge shots. Graham backs off and they take the center. Lead left hook from Robison lands. Graham to the body now. Robison changes levels but Graham recognizes the takedown attempt and gets his hips out. They break again. Graham peppers Robison with a big right hand. Robison drives forward, clinching against the cage again. Foot stomps from Graham now. Exciting first round. PMN scores the first for Graham, 10-9. Round 2 – Robison starts with a leg kick. Graham counters with a right hand over the top. Robison tries to clinch again but Graham is having none of that. Jab from both guys. Lead left hand from Graham. He comes forward with a monster shot to the body. Again. Robison fires back with his left hand. Another body shot. Graham fires off a knee as Robison dips in. Robison gets on his wheels and circles out as Graham pursues him. Lead uppercut from Graham. He’s got his timing down and teeing off. Robison fires back but Graham is landing the bigger shots. Robison looks frustrated. He’s been unable to get the fight to the mat. Graham again to the body. Graham puts Robison on the cage. He backs out, firing off a short, grinding elbow on his way out. Graham is bleeding out of his nose now. Leg kicks by both fighters. One-two from Graham scores. Double jab from Robison. Overhand right from Graham. He’s throwing almost all power shots. Nice one-two from Robison. He follows up with a jab. Graham comes forward and eats a right hand. End of round. PMN scores the second for Graham. Round 3 – Here we go. Handshake and a bow from Graham. Robison leaps into range but misses with a looping left hand. Graham just misses with a big right hand as Robison changes levels. Robison back to the clinch. He still can’t manage to get the fight to the mat. Nice jab from Robison. He strings together a nice flurry. He’s landing now. Jab from Robison. Graham puts him on the cage and fires off to the body. Not much action on the cage- until I typed that. Graham with a flurry causing Robison to get off the cage. They reset. Robison with a nice jab. Graham lands a big right hand that draws blood. Graham goes high with the kick. Robison partially blocks it. Graham stalking now. To the body. Robison halfway shoots but gives up the attempt. big right hand from Robison. Graham fires back. These guys are battling. Another big right hand by Graham. To the body. Leg kick Graham. Robison fires, Graham returns fire. Looping right hand by Graham. He catches Robison with a big knee right before the bell sounds. Nice performance by Graham. Round 1 – Landwehr is an intense cat. Here we go. Big right hand from Mullins. Landwehr fires back with a blistering kick. Mullins headhunting. Another big kick. Mullins lands one to the body. Landwehr with a nice right hand. Mullins is loading up his shots. Nice one-two straight down the middle from Mullins. Mullins just misses over the top. Nice counter right from Landwehr. Mullins feints and pays for it as Landwehr again counters straight down the middle. These guys are bringing mad energy. Mullings clips Landwehr and staggers him but he stays on his feet. Mullins comes in for the kill but Landwehr has already recovered. He uncorks a short flurry that score. Lots of action in this one. To the clinch now with Landwehr looking for the takedown. Mullins gets a hip toss and they hit the mat but only for a moment. Back to the feet. Mullins has Landwehr pressed into the cage. Landwehr turns and puts Mullins on the fence. The break and reset. Mullins again with a big right hand. Landwehr returns fire with a big kick. To the clinch. Landwehr working his knees. They reset again. Mullins strikes first. Landwehr again has an answer. Landwehr secures a leg and elevates Mullins. He puts him on the mat, but Mullins quickly makes his way back to his feet. Tough round to score. PMN gives the edge to Landwehr. Round 2 – No touch of gloves this time. Again Mullins throws his one-two. And again, Landwehr goes to the leg kick. They both stand in the pocket and throw. To the clinch now with Landwehr pressing. Reset again. Mullins is loading up his punches but isn’t setting them up. Landwehr clinches the delivers a knee. He rocks Mullins, dropping him to the canvas. Mullins looks to be completely out. Landwehr pours it on, landing a few more for good measure before it’s stopped. Round 1 – This one is going to be a war. No doubt about it. Ray coming forward. West fires off a right hand. Ray with a monster leg kick. Jab West. Three punch combo by West. Again. Another big kick by Ray. Jab-right hand by West. Double jab from West. He follows up with a right hand. Big right hand connects for West. Lead left hook by West. Ray is a bit hesitant. Except with his kicks. He blisters the body of West. West catches the next kick. West with a looping right hand. Straight right hand by West. Kick to the body by Ray. Both guys land with their jabs. kick Ray. Again but this one is blocked. West tees off with a looping left hand, then a right. He’s throwing with power. To the body by Ray. West ducks in and eats a huge knee up the middle. West clinches and puts Ray on the cage. They break. Here we go. Ray beats West to the punch on the restart. Jab Ray. West ducks in for the takedown. Ray lands a big knee. Flurry by knee and West is in trouble. He stands back up and fires a left hook. Another big knee up the middle. West is hurt, but still coming forward somehow. He drives Ray into the cage. He drops West with a knee and lands some strikes before the bell. PMN scores round 1 for Ray. Round 2 – Jab Ray. West changes levels and shoots. He gets stuffed and gets warned for grabbing the shorts. West drags Ray to the mat. Ray on top now. West looking to control Ray’s posture. Ray locks up the arm triangle and steps over and the tap comes quick. Round 1 – Metts with a wild overhand right. Holtzman counters with a leg kick. Holtzman goes high with his kick but it’s blocked. He drives Metts in to the cage and goes to the high crotch. He works Metts to the mat, but Metts pops right back up to his feet. Holtzman has double underhooks with Metts on the cage. Short knees from Holtzman. Again. Metts fires back with a knee. Holtzman disengages long enough to throw a short right hand. The clinch battle continues against the cage. The referee steps in and restarts them. Holtzman with a right hand, then a takedown. Metts utilizing the butterfly guard and is controlling the posture of Holtzman. He breaks free and delivers some punishment from the top. Metts rolls for a leg but eats a big right hand. Holtzman stands over the guard of Metts, then dives in with a right hand. Metts is bleeding now from his left eye. Holtzman controls the legs, then dives in for a brutal right hand. Metts has no answer as Holtzman blitzes him with brutal right hands. The referee intervenes and it’s over. Round 1 – Blackford flashes his jab and Wallace is all over him. He closes, clinches, elevates, and slams. Wallace advances to side control bu is very loose. Blackford uses the space to get back to his feet. Wallace immediately puts him on the cage then drags him to the mat. Again he passes to side control. He’s much tighter this time. He’s working on isolating an arm. Blackford scrambles to retain his guard and manages to get to half guard. Wallace stays tight, then postures to throw a right hand. Again. Blackford is trying to tie him up but and is managing to not take too much damage on the bottom. Blackford with some short elbows off his back. Wallace with a couple of left hands. Blackford swings his hips but Wallace maintains top control. He’s walking Blackford to the cage now. Blackford gets his hips out and gets back to his feet. Big exchange in the pocket. Blackford lands an uppercut but then gets slammed back to the mat. Wallace quickly advances to full mount. His corner is calling for elbows. He postures and lands a right hand. Blackford locks up wrist control. Wallace gets free and lands some grinding elbows. Wallace transitions to the armbar and it’s tight. Less than 10 seconds to go. Blackford is fighting off the sub, but Wallace readjusts and gets the tap. Round 1 – I will have to go with first names with this Sanders vs. Sanders matchup. Inside leg kick by Luke. Zack with one also. Luke swarms with a flurry. The fight hits the mat and it’s Luke with the standing guillotine attempt. He bails on it and takes the back of Zack. Zack scrambles but can’t shake Luke off his back. He rolls out of trouble. Luke lands in side control. Zack scrambles again and looks to take Luke down. He gets caught in a guillotine again. He again survives but Luke is back into side control and in a dominating position. Short, grinding elbows from Luke now. Big left hands now. Luke spins as Zack rolls and takes his back again. He’s looking for the rear naked choke now. He gets both hooks in and is going to work. Big left hands under the arm of Zack by Luke. Zack is staying active but can’t seem to shake Luke. He finally makes some space but then gets slammed on his face. Big elbows from Luke. He’s punishing Zack now. Zack scrambles and gets caught in another guillotine. Luke lets go and pours on the elbows. He’s pounding Zack now as the referee takes a close look. Zack is still defending. 10 seconds to go and the referee stops it. Impressive win for Luke Sanders. Round 1 – Vilche comes out with a kick to start. Clark closes and works Vilche to the mat. Vilche works her way back to her feet. Footstomps come next from Vilche. Clark clinches and lands a knee. Vilche pulls guard and now Clark is on top. Vilche looking for an armbar attmept. Clark easily escapes and moves to full mount. Vilche rolls and gives up her back. Clark gets her hooks in and sneaks an arm under the chin. The rear naked is tight and it’s over. Round 1 – Touch of gloves. Jab Jones. Again. Barrett coming forward. Jones lands a nice leg kick. Another. Barrett closes and clinches. He puts Jones on the cage and fires off a knee. Jones circles out and pushes off. Barrett closes again, but Jones sidesteps and creates some space. Again Barrett comes forward and puts Jones on the cage. Back to the center of the cage. Jones with another big kick. So far he’s been able to stay off the cage when he finds himself there. Barrett drives, throws a right, then changes levels. Again Jones is out. Big uppercut from Barrett. He finally gets his hands locked and gets the slam. He’s on top now looking to pass. Barrett with a couple of grinding elbows. Barrett is grinding away from the top. Jones is scrambling for position. Barrett backs off and they reset. Barrett comes forward with a wild flurry and puts Jones on the cage again. Jones lands a knee in the pills and the fight is halted for him to recover. He only takes about 8 seconds and he’s ready to go. Nice exchange in the pocket. Barrett drives and gets a big slam right at the bell. Close first round. PMN scores Round 1 for Barrett, 10-9. Round 2 – Barrett’s corner was screaming for him to let his hands between rounds. It’s Jones that is firing at a higher volume to start. Barrett closes and puts Jones on the cage. Jones circles out separates. Barrett is stalking him. Jones is back on the cage again. Jones throws a right hand then scrambles out and away. Barrett goes right back to the clinch against the cage. Jones with a nasty lead left uppercut. Barrett walks right through it. Jones shoots but gets stuffed. Barrett tries to take his back but can’t as Jones works back to his feet. Reset. Jones with a nasty leg kick. Barrett clinches again and gets the slam. Jones gets back to his feet but is spending more and more time with his back on the cage. Jones finally pushes off and resets. Jones ducks the left hand and shoots again. He’s stuffed again. Barrett goes for the back but Jones rolls. Barrett lets him stand back up and then puts Jones right back on the cage. Nice flurry by Barrett. He elevates and then dumps Jones on the mat just before the bell. PMN scores Round 2 for Barrett. Round 3 – Jones starts working his jab to start the final round. Barrett walks through it and puts him on the cage. Jones steps out and lands a nice kick. Barrett swinging for the fences now. He closes and delivers knees in the clinch. Jones circles out. Jones for some reason shoots again and is stuffed. Barrett lands a couple of shots before Jones gets back to his feet. Back to the clinch. Jones steps away, then shoots and is stuffed. Barrett with the front headlock but he letes Jones up. Barrett immediately comes forward. To the body now. Jones throws a single jab then shoots. His corner is screaming for him to stop shooting. Right hand by Barrett. Jones comes back with a jab. Jones goes for yet another shot. Same result. Barrett is controlling him with the front headlock again. Jones finally pulls his head free and gets back to his feet. Jones immediately shoots again. He has yet to even come close to securing a takedown. Barrett presses him on the cage then goes high crotch for the late takedown. PMN gives the final round to Barrett, and the fight overall to him as well 30-27. Round 1 – Pena comes forward quickly. Salter puts a right hand on him Pena fires back. Salter ducks in for a takedown attempt but bails on it. Leg kick Salter. Pena coming forward but gets too aggressive and gives up a takedown. Exactly where he doesn’t want to be with Salter. Pena rolls to defend and gets flattened out. Salter is pouring on the punches from the top. Pena is covering up but is getting blasted. He rolls and Salter takes full full mount and continues to punish Pena. He’s in a very high mount now. He tries to shake off Salter and Salter takes the arm and extends it. Pena is fighting off the armbar for now but he’s in a bad spot. He somehow breaks free and gets back to his feet. Salter comes forward again. Pena fires off a flurry, but ends up back on the mat with Salter on his back. Salter gets both hooks in and starts landing right hands. He flattens Pena out and is going to work with left hands now. Pena rolls and Salter is right back in a high full mount. Pena again manages to shake Salter off as time runs down on the round. Salter with another takedown. Dominating round for Salter. PMN scores it 10-9. Round 2 – Jabs by both guys to start. Pena stings Salter with a right hand. Nice one-two combo from Pena. Salter has seen enough. He shoots and gets a takedown but lands in a guillotine. He tries to roll out of trouble but Pena readjusts his grip and gets the tap! Shocking turnaround.